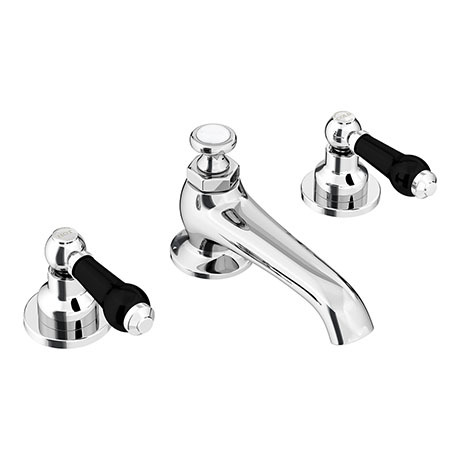 The traditional Chatsworth 1928 chrome three hole deck mounted basin tap, create a traditional feel in your bathroom with this classically styled luxury basin mixer tap. Manufactured from brass with a polished chrome plated finish. Features decorative black lever handles with classic chrome indices to indicate the hot and cold controls. Supplied with rod-operated pop-up basin waste, suitable for a basin with an overflow. Transform any bathroom’s decor to the luxury and elegance of yesteryear.